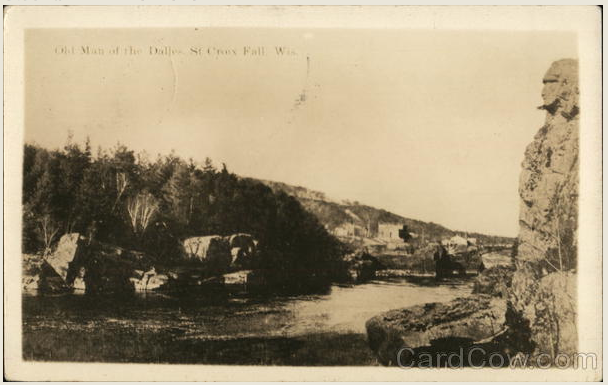 On September 20, 1900, through the dedicated efforts of local citizens, the State of Wisconsin acquired land here along the Dalles of the St. Croix River, officially establishing Interstate Park as Wisconsin's oldest state park. The year 2000 marks the Centennial of Interstate Park and the Wisconsin State Park System. The marker is located on the grounds of Interstate Park (park of the Wisconsin State Park system), next to the Visitor Information building. The entrance to the park is at the intersection of Park Road and South Vincent Street / Highway 35, St. Croix Falls, Wisconsin 54024. See also, Marker 143: State Park Movement in Wisconsin: INTERSTATE PARK, also at this location. The "Old Man of the Dalles". a natural rock formation at the park. 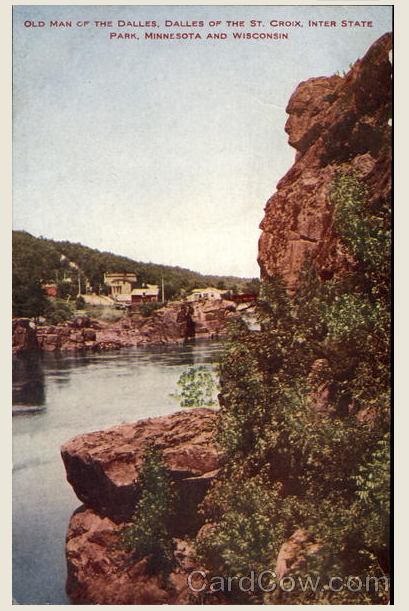 Old Man of the Dalles -- St. Croix Falls, Wis. The marker is at the entrance to the visitor center.